I made this ramen a little while ago. This ramen was so good and just looking at the pictures make me want to eat this! I call this green ramen because the noodle is made of green vegetable called moroheiya which is supposed to be very good for you. And the whole dish is also vegan. 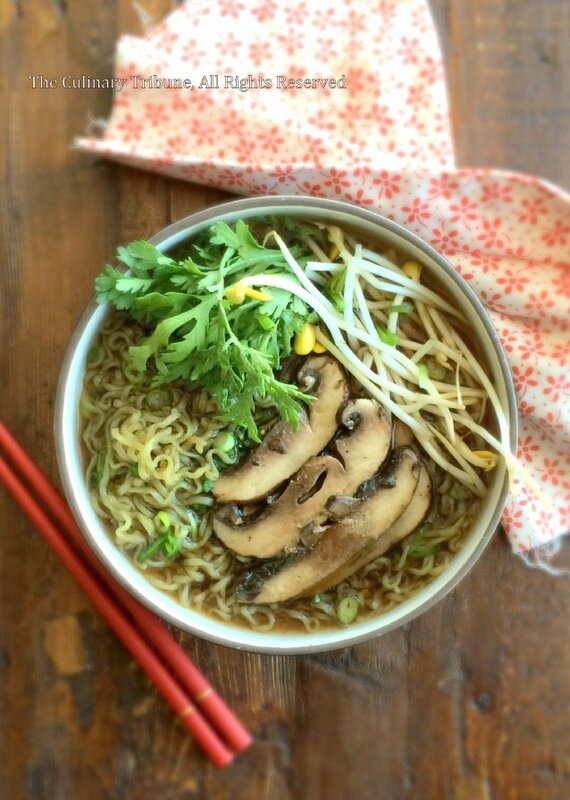 The thickly sliced marinated/broiled portobello mushrooms were absolutely delicious and perfect for this ramen. 1. Make marinade. Combine all the ingredients (Sorry I don’t have exact measurements for this). Add the mushroom to the marinade. Let it marinated for a few hours or overnight. Remove the mushroom from the marinade, dry it with paper towel, and broil it for a few minutes each side. Let it rest for a few minutes at room temperature. Slice. 2. Make soup. Place water, garlic, and conbu seaweed in a pot. Once it boils, turn to low heat and simmer for a few minutes. Add soy sauce, sugar, lime juice, cumin, salt, and pepper. Remove the garlic and conbu. 3. Place cooked noodle in a bowl. Pour the soup over the noodle. Serve with sliced mushroom and vegetables. This was written by Reiko. Posted on Sunday, April 12, 2015, at 6:50 pm. 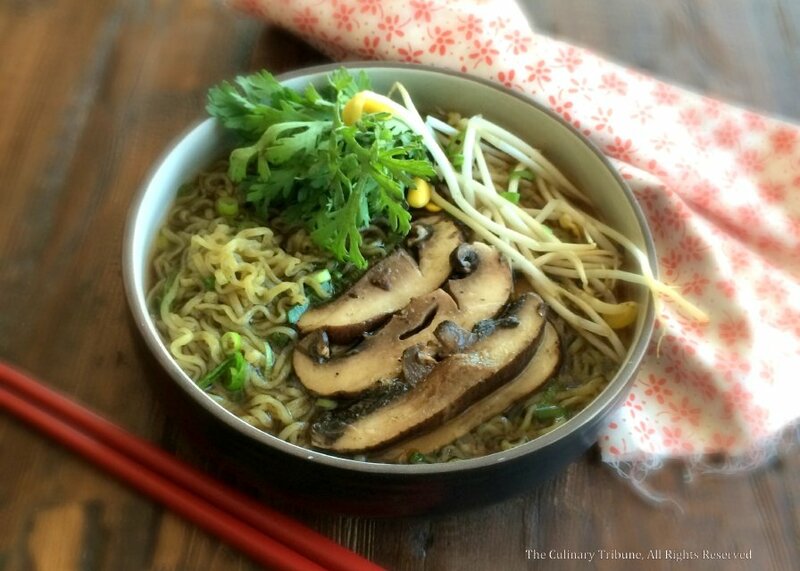 Filed under Leaf Vegetabes, Mushroom, Pasta/Noodle/Rice, Soup, Vegan, Vegetarian. Bookmark the permalink. Follow comments here with the RSS feed. Both comments and trackbacks are currently closed.